First I want to apologize. One, for abandoning my 25 Days of Handmade Christmas, and two for abandoning the blog altogether! As some of you might know, my job has been miserable, awful, and just downright tiring. I believe it's been the cause of all of my health problems and has generally made me lose interest in everything that I love, including this blog. I toyed with starting a completely new blog that wasn't all about crafts but life in general. But then I realized I was just being silly because I had all of you here that follow along! Not to mention I have a fabulous new design by Lindsay from Happy Potamous Designs! You might know her from Artsy-Fartsy Mama! 1)Better posts. I tend to write as if I'm trying to sound like someone I'm not. Instead, I'm going to work on sounding like ME! 2)Better photos. Tips GREATLY appreciated. Especially for those of us without fancy cameras. If I'm being honest, my iPhone is my go-to camera. 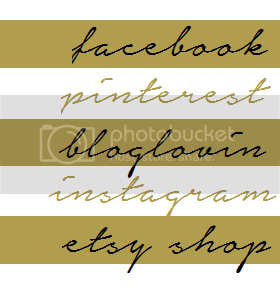 3)Keeping up with the weekly blog hop! Lastly, I'd like your feedback. What are you favorite things about Embracing Messy? What do you dislike? Don't worry, you won't hurt my feelings. I want to make this blog the best it can be! Thanks for sticking with me!! Ya'll are awesome.